As part of a regular update to PrestaBay Startup version, we are ready to announce a new version of the module. Fix: Duplicate product on 'Add to Selling List'. If you have an existing license for PrestaBay Startup 1.6.x, you will be possible purchase upgrade package. For users purchase module after 25th Jun upgrade is free (please contact us for details). For users purchase license more that 1 month ago upgrade cost €59 (Purchase upgrade). One of most awaited feature is ready for use. 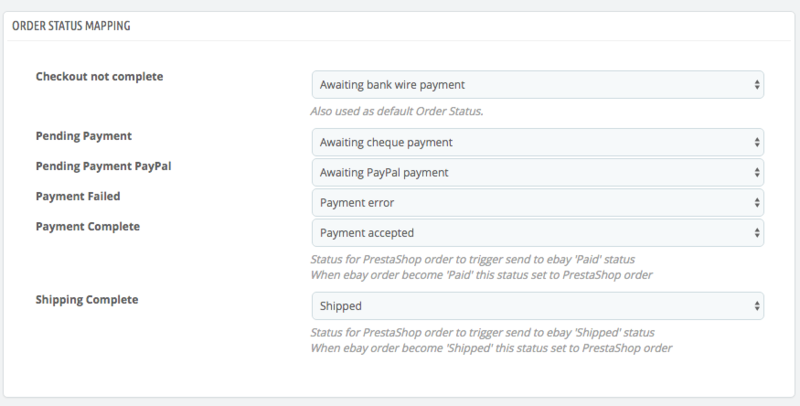 Now you will be possible to define a mapping of statuses for orders between ebay and PrestaShop. Interface located at Catalog->eBay->Synchronization bellow "Order Synchronization" page. Ebay introduce new changes connected to Business Policies. We include a possibility to use Business Policy in this module version. More information regarding business policy you can find on ebay (including how to include/exclude it for seller account). "Sign In" to use Business Policies. Click on "Manage your business policies page" in "My eBay->Account->Manage your business polices"
Create and manage your business policies through "My eBay->Account->Manage your business polices". You'll need to create at least one of each policy type: payment, shipping, and return. 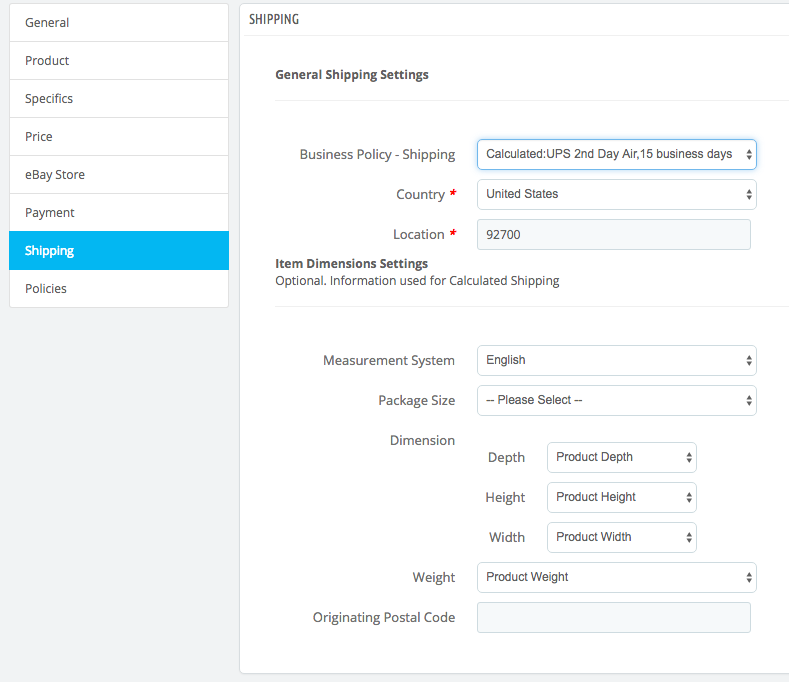 In Selling Profile you can select created policy on tabs "Payment", "Shipping", "Return Policy". You still can use classic way to set data in Selling Profile, but make sure you do not mix it. So you need to use "Business Policy" or classic way to set data. Please notice that "Business Policy" should be created for each of marketplace where you sell your products. To inform our client about new version releases, upcoming ebay changes, server maintenance. New notification you can see under module main menu. Three type of notification available – error, warning and notice. By click on 'View' link you will see full text of message. Click on cross hide this notification. With this upgrade we provide possibility specify discount for your ebay items. The module will transfer discount to ebay only if you specify percentage more that 0. PrestaShop product discount ignored and does use when sending the item to ebay. Please notice that field used to indicate discount to original price send to ebay. Example: your ebay price without discount is 200€ and discount percentage is 10%. Then the customer can purchase your product for 180€, product price before discount is 200€. If you're selling multiple identical items in a single fixed-price listing with Good 'Til Cancelled as the listing duration, you can select the out-of-stock option. All of your existing and future Good 'Til Cancelled listings use the out-of-stock option until you disable the option. When the quantity of the listing becomes 0, your listing stays active, but is hidden from search results. The quantity in the listing can become 0 either through buyer purchases or you can revise the listing and set the quantity to 0. 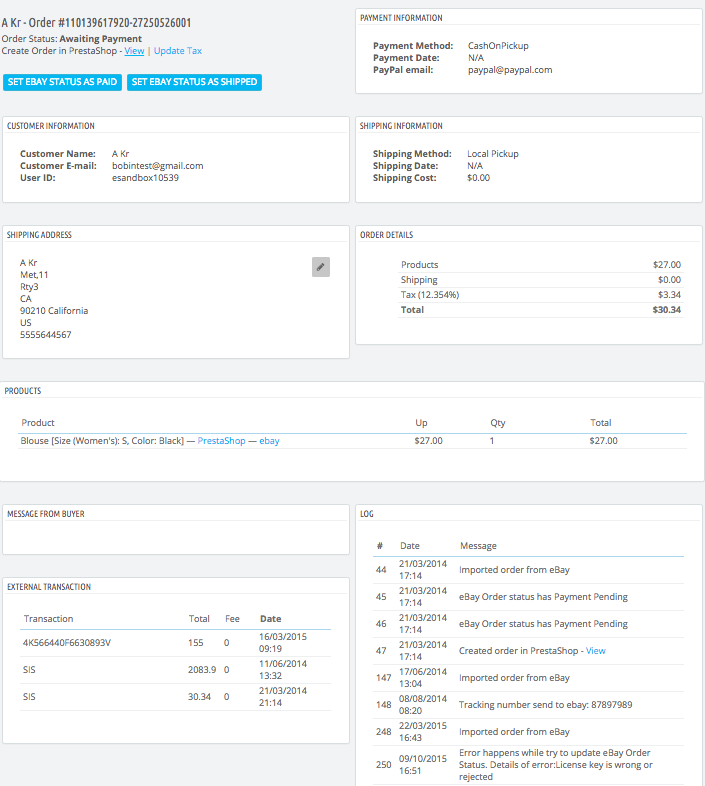 When you increase the quantity of items available, the listing is eligible again to appear in search results. If you change the duration of your listing to anything other than Good 'Til Cancelled, the listing is no longer out-of-stock enabled and ends when the quantity becomes 0. You can still end your Good 'Til Cancelled listing yourself at any time. Then please open Synchronization page and activate the option "Out-of-Stock Control". Please notice that "Synchronize QTY" or "Auto-Stop" task should be active. 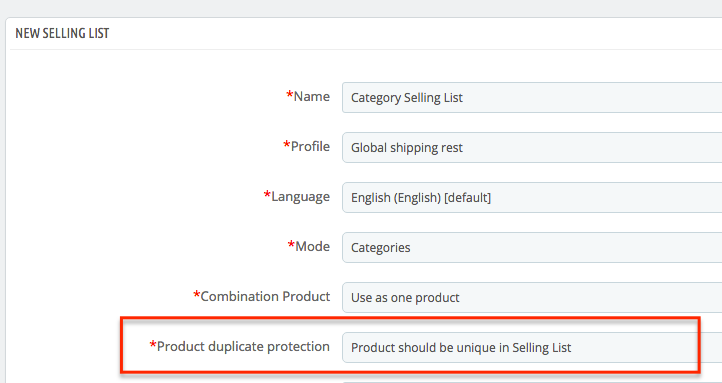 If you don't want to add the same item twice to "Selling List" you can activate "Duplicate Protection" option in Selling List edit form. We get a lot of request for invalid ebay address, address that can't import to PrestaShop. Now you can modify this address from admin panel. 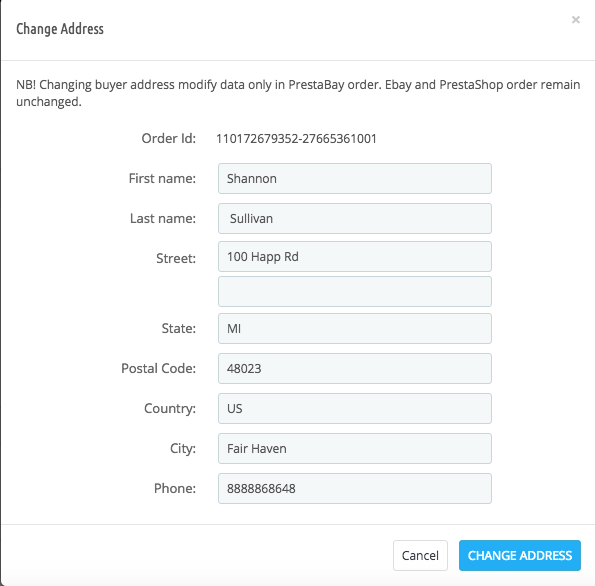 In PrestaBay Order edit page click on small edit button and you will see pop up that allows you change address data. This release also include sevaral improvment for ebay order import.